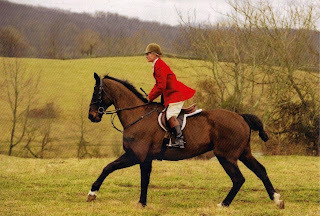 Bowler Hill farm is proud to offer exclusive foxhunting services to a limited number of clients. We provide training for both horse and rider to ensure all of our clients enjoy this exciting sport. 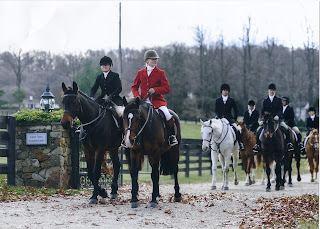 Whether you enjoy the thrill of the chase or the social ambiance of the hunt, Bowler Hill Farm tailors a training program for each and every horse. Once you are ready to go out hunting our premium " Equine Valet" service will bring your horse tacked and ready to ride to the hunt. training program , we can make certain that each horse gets the individual attention needed to produce a pleasurable and well kept mount for all of our clients. Bowler Hills staff comes from an extensive training background in dressage, jumping, and cross country. Schooling in each of these disciplines helps to produce a well rounded horse and rider. Bowler Hill has a limited number of horses available for hunting day lease.